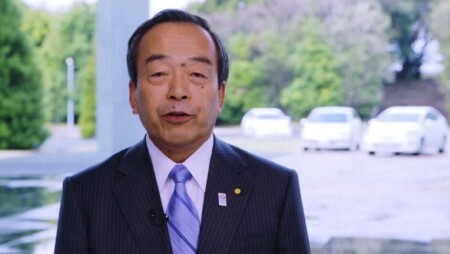 Honda's hydrogen fuel cell sedan can power your entire house. 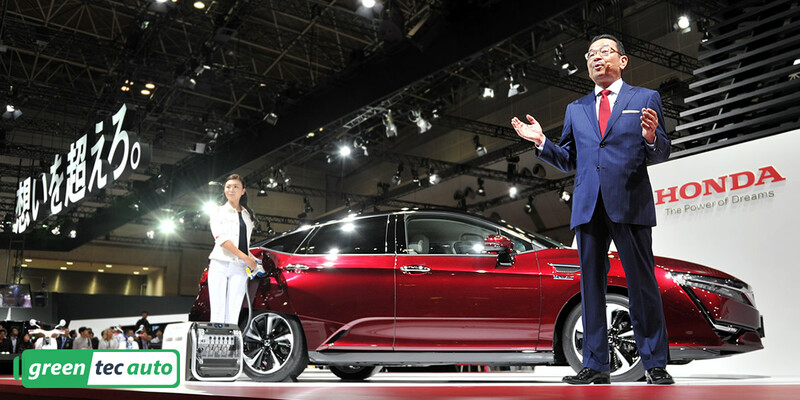 TOKYO, Oct. 28 — Honda unveiled its first production hydrogen-powered fuel cell sedan, the Clarity Fuel Cell, at the Tokyo Motor Show on Tuesday. 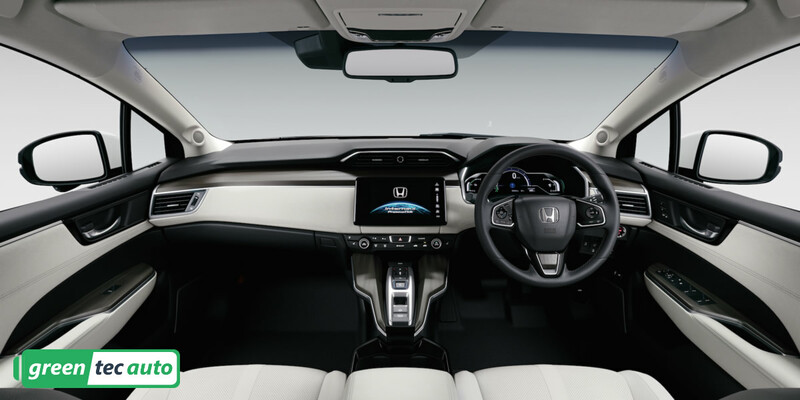 The five-passenger Clarity Fuel Cell sedan is the first hydrogen-powered model that Honda has intended to offer up to the public. Honda said it will begin sales to customers in the U.S. and Europe by 2017. Like other fuel cell vehicles, filling the hydrogen tank should take less than five minutes and offer several hundred miles of range. Honda says internal testing delivered a range of 435 miles (700 km) for the sedan. A quick refresher on hydrogen fuel cell vehicles: The cars transform hydrogen — in a unit called the fuel cell stack — into electricity, which is fed to a lithium-ion battery pack and out to an electric motor that turns the drive wheels. Essentially, think of it as an electric vehicle that can be refilled in three minutes and emits only water vapor out of its tailpipes. The Clarity Fuel Cell represents a leap forward for hydrogen fuel cell vehicles (FCVs). 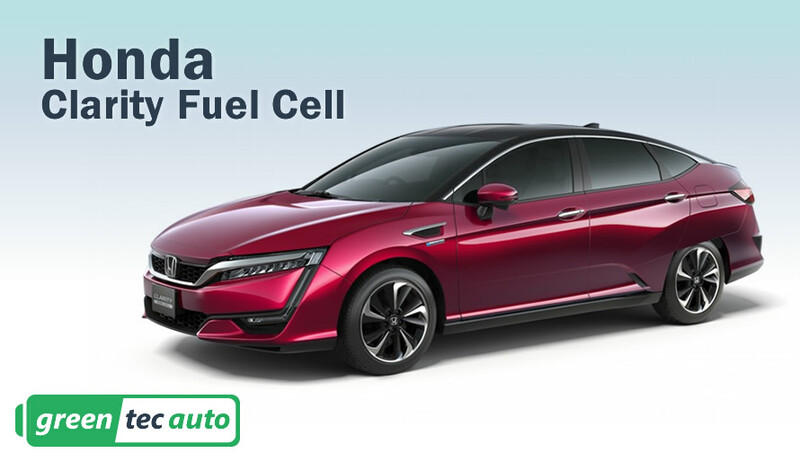 Honda has managed to shrink the size of the hydrogen fuel cell stack by 33%, down to the size of a V6 gasoline engine. This compact shape allows designers to fit it underneath the hood of the car — a first for FCVs. Until this point fuel cells have been so large that they needed to be packaged elsewhere in the vehicle, like in Toyota’s Mirai, which has its fuel cell stack in the center of the vehicle, cutting into interior space. With the fuel cell stack under the hood — like that of a gasoline-powered car — the cabin can be shaped in a standard five-passenger layout with enough room to comfortably seat five adults. When full of hydrogen, the Clarity Fuel Cell can travel 700 km (434 miles) on a single charge, which is around 50 km further than the Toyota Mirai. 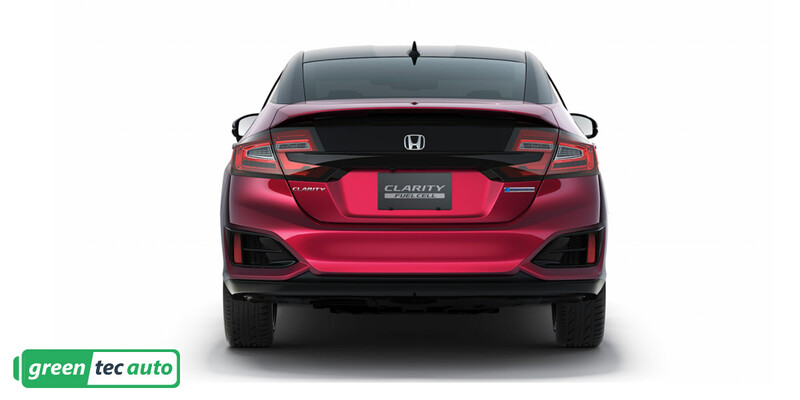 Most significantly, the Clarity Fuel Cell and 2017 Honda Accord plug-in hybrid will share the same chassis, which will allow Honda to save money when adapting models for various markets. The potential for basing the EV on the same platform exists as well. With an electric range slightly greater than the original Volt, drivers could cover about 80% of trips without gasoline, as research has showed Volt drivers do. 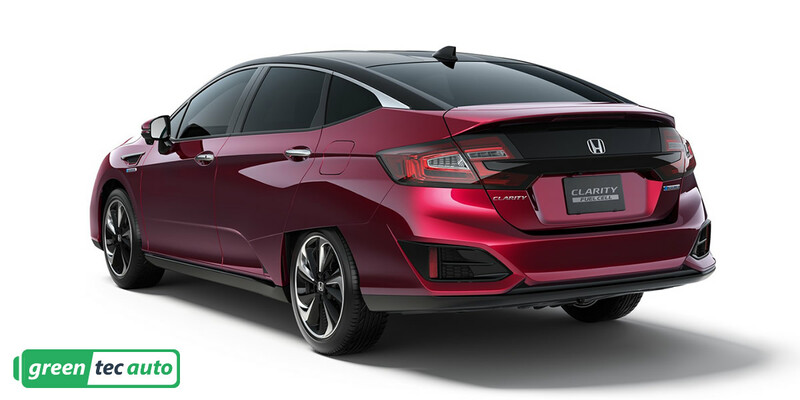 Acceleration aside, Honda has revealed another cool feature of the Clarity Fuel Cell. 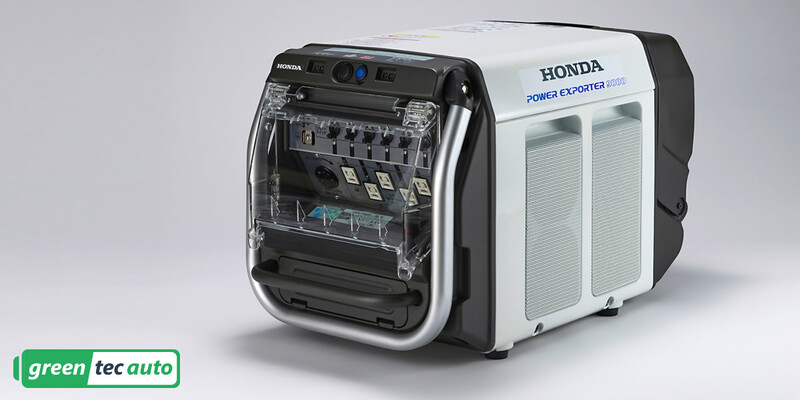 When plugged into another Honda gizmo called the Power Exporter 9000, the Clarity Fuel Cell can produce enough electricity to power an average home for approximately seven days — perfect during a natural disaster or run of the mill power outage. Granted, Honda likely means an average Japanese house, not an American home. So that number will likely come down a bit when the Power Exporter 9000 comes Stateside. Right now, the Clarity Fuel Cell is priced $62,807. Whether it’ll hold that price when offered in America is unclear.